By Xah Lee. Date: 2013-06-01 . Last updated: 2017-08-04 . Matias Mini Tactile Pro Keyboard came out in 2013. Matias Mini Tactile Pro keyboard is especially designed for Apple's Mac users. Matias is a company known among Mac users. 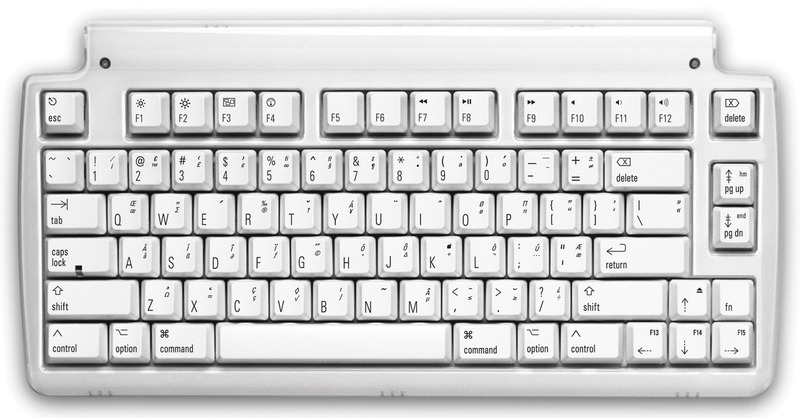 • Compact design, no number pad keys, just like Apple's standard keyboard. • Laser etched keys. They don't wear off. • 3 extra USB ports. This one got bad reviews. Common complain is that key repeats or not register. Key repeat or not register. Many amazon reviews complain about this. The keyboard isn't actually that quiet in comparison to other mechanical keyboards. The build quality is not very good. 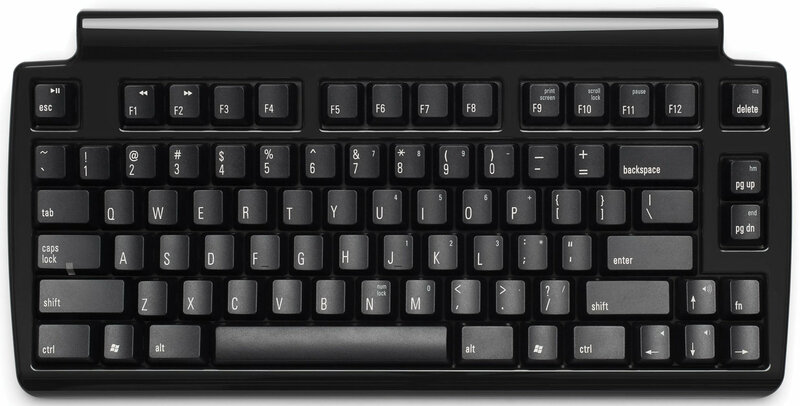 The keyboard is bulky, with large margin.